There were things about Episode 16 that didn’t really work with us. 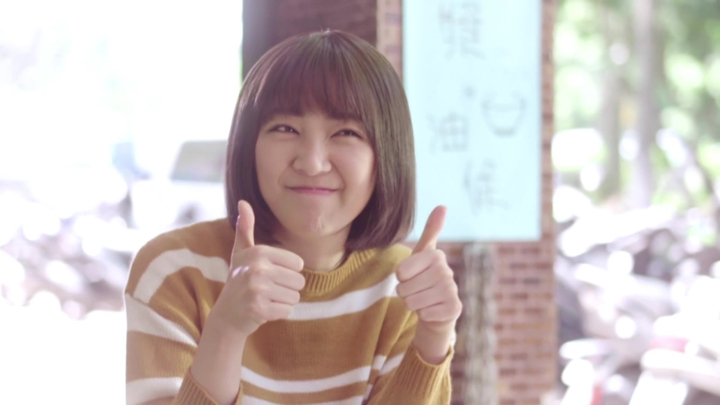 But, generally, we thought it was a good episode because the main action in the episode had brought in interesting character development for Huo Ting En. With the first half of the episode, there were mundane moments and some repetitiveness. We could have skipped the opening scene following on from the previous episode’s cliffhanger. The previous episode’s cliffhanger seemed to forsee something interesting. But, it didn’t bring in anything interesting, new or useful when what came from it was Wei Fen Qing reasoning why the notes were in Huo Ting En’s possession and how it’s okay. It was information we found mundane. Those parts that felt repetitive were where it discussed Huo Ting En’s past problems. There was a bit of new information, but it was simply hearing Huo Ting En indicate he’s become wiser in understanding them and accepting them. With Huo Ting En removed from La Mure, we’ll be seeing what’s in store for him. We hope to see something interesting coming out of this development. Wei Fen Qing finds nothing odd about the fact that her dad had shared his recipes with the Huo’s when her mum told her Dad had wanted to be a Yanis shareholder and only missed out on the opportunity because of the car accident. She also feels nothing is odd when she finds that the the recipes were ones that her dad and the Huo family had most likely developed together. Huo Ting En thanks Wei Fen Qing. He finds that knowing her has brought positive effect in his life. Huo Ting En finds his temper has become better. He’s overcome his inner demons such as the night markets and the matter of his sister. He sees that the night market people have heart and night market food have their own stories within them as well. Wei Fen Qing also thanks Huo Ting En. She thanks him for bringing her to see a world outside the night markets and allowing her to be exposed to many things that she didn’t know about. 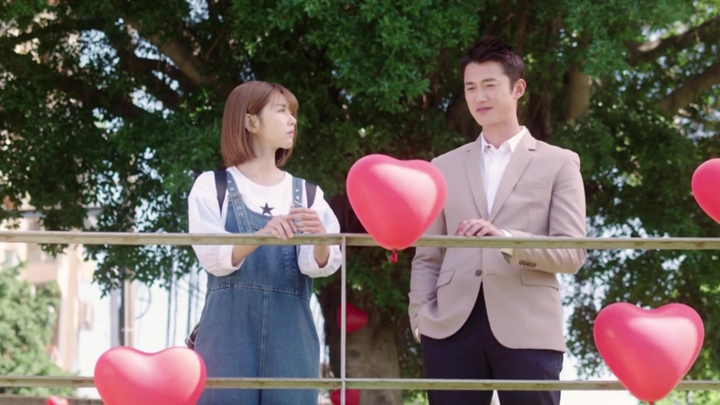 Both head to bed after Huo Ting En asks Wei Fen Qing to promise to go to him for everything and anything and not Ah Wei. Wei Fen Qing agrees to do so. This offer of a share of Yanis to Wei Fen Qing is Grandma Huo’s way of giving back to the Wei family for what they owe them. Wei Fen Qing doesn’t wish to accept this gift Grandma Huo has generously given her. However, for the meantime, in the presence of everyone, Huo Ting En has Wei Fen Qing accept it. Afterwards, Wei Fen Qing continues to find difficulty accepting it. She feels guilt for deceiving Grandma Huo and has concern towards Meng Ru Xi and her feelings. However, she also feels conflicted about telling the truth when she worries she may have to leave Huo Ting En. Meng Ru Xi tells Huo Ting En she will leave after Grandma Huo’s announcement of giving 10% share of Yanis to Wei Fen Qing. Huo Ting En is silent after Meng Ru Xi finishes. Meng Ru Xi tells Huo Ting En that a ‘thank you’ is something he can say if he wants to say something. Huo Ting En does express a thank you. He adds further words that reveal him believing Meng Ru Xi to have the possibility of becoming a good friend of his under different circumstances. Meng Ru Xi moves out of the Huo residence. It’s a request from Grandma Huo. Though Meng Ru Xi leaves, she indicates she is not entirely giving up. We hear this when she answers Huo Tian Zhi’s question asking her if she planned to give up. Gong Mei Li is very concerned about their position in Yanis. She feels they should have taken action when they had the time to do so. 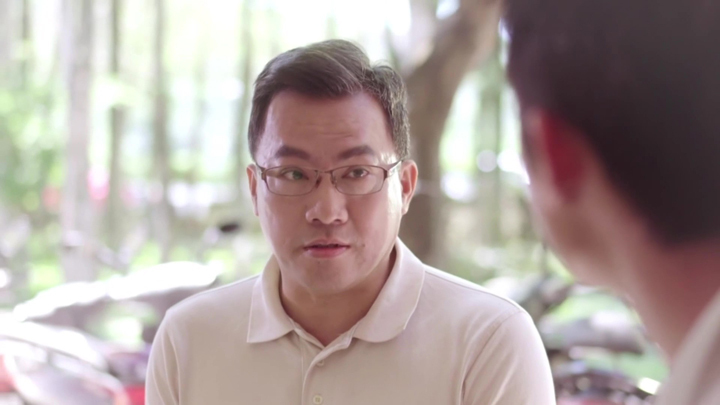 Huo Tian Zhi is confident there is still time for action to regain control of Yanis. He asks her to support him in his plan. It seems the plan is having Huo Ting En needing to answer to using contaminated oil in his restaurant that has alerted the food safety authorities to investigate La Mure after the news of such a situation broke out in the media. Huo Ting En comes to know of the problem he and La Mure comes to face after having breakfast with Wei Fen Qing at the place his father used to bring him and his sister to eat at a lot. The breakfast that Huo Ting En has with Wei Fen Qing at the eatery his father used to bring him and his sister to eat at brings Huo Ting En to imagine his father and sister at the table. His father and sister approve of Wei Fen Qing to be his future wife. A brief time out in the open space afterwards, upon a request from Wei Fen Qing to let her know more about his dad and Ting Li, Huo Ting En speaks of his father being a respected chef in the industry. He expresses his mum having had taking him and Ting Li to work everywhere after he’d passed away. He then spoke about meeting the Huo family. The conversation brings him to express confirmation of understanding his mother’s actions after having blamed her. We hear him then speak of his time in France when he went there to study culinary arts with the desire to learn skills to protect his mum and Ting Li. He says his time there had been tiring, but interesting and fun. With the contaminated oil situation upon the company, Huo Ting En feels Gong Mei Li has done something. Peng Xiao Bin is asked to go investigate Gong Mei Li’s account at Yanis. 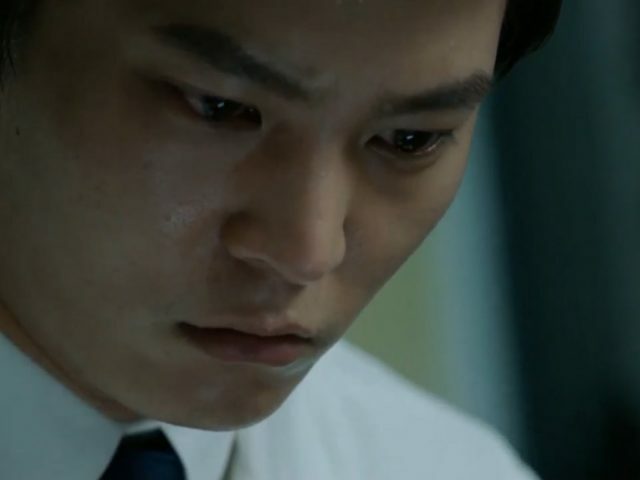 However, he comes out unsuccessful in finding any information when Huo Tian Zhi blocks him from accessing any information and Gong Mei Li, herself, stops him in his tracks. Huo Ting En seems to be right about Gong Mei Li having done something, but we aren’t told whether it’s related or not related to the contaminated oil situation that has been set upon Huo Ting En and La Mure. We’re shown a scene where Gong Mei Li and Huo Tian Zhi discuss about funds Gong Mei Li used that she and Huo Tian Zhi are concerned about Grandma Huo finding out about. 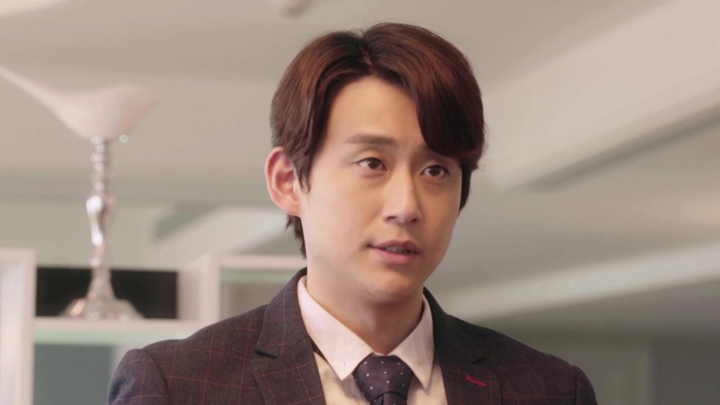 It’s not revealed where Gong Mei Li moved the funds to, but the activity is shady enough for Huo Tian Zhi to speak of removing Huo Ting En from Yanis in order to prevent the matter from being looked into by him or be responsible for the matter. 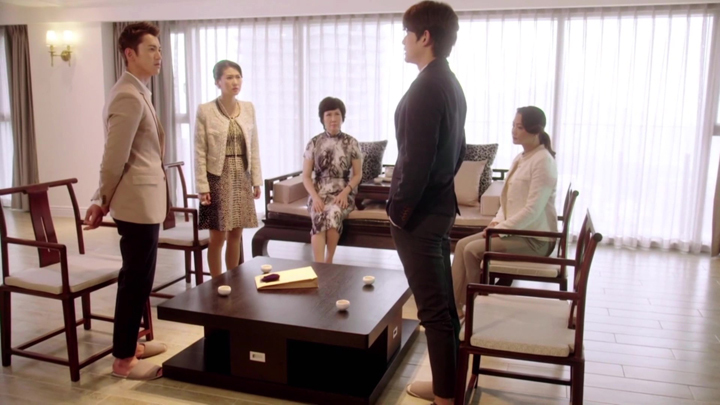 In this scene, we also hear Huo Tian Zhi asking his mother to leave Taiwan and head back to America. This is to protect her. Her leaving Taiwan for a bit is so no one is able to remove him from his position and find ways to bring Huo Ting En back. A board meeting is called by Gong Mei Li to discuss the matter of media reports of La Mure using contaminated oil. It brings discussion of a need to take immediate action to prevent the ensuing attack from the media. Gong Mei Li exhibits documents with Huo Ting En’s seal. She indicates the solution to be for someone to take the fall. She goes to Huo Tian Zhi for his opinion. Huo Tian Zhi’s eyes directly stare at Huo Ting En’s as he says this. It takes Huo Ting En many moments before he realises the meaning behind the unwavering stare. Grandma Huo hesitates for many moments before she makes the command. She orders a release of a statement and relieves Huo Ting En from his General Manager duties. With regards to La Mure, Grandma Huo asks Gong Mei Li for her opinion on the person to take over La Mure. Gong Mei Li suggests Yang Yu Qing. Huo Tian Zhi disagrees. Huo Ting En hands in his seals, informs the Huo’s to use those properties still under his name for the compensation costs and lets them know he will move out of the Huo residence. Before he exits, Huo Tian Zhi directs words that seem as hard to the ears to Huo Ting En as when Huo Tian Zhi had told everyone at the board meeting that he, himself, will take over La Mure because he’s a Huo. Huo Ting En leaves his mother devastated. She is devastated her son has still ended up with nothing when she had entered the Huo family to provide him a good environment. Grandma Huo tries to have her view the outcome differently. Grandma Huo tells Huo Ting En’s mother she is also free and should let go of the past. 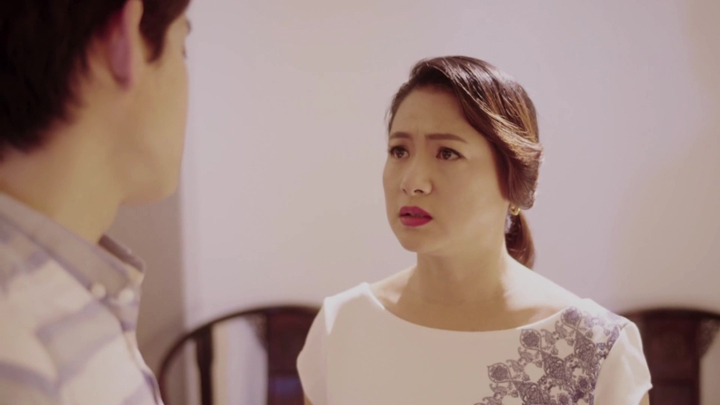 Wei Fen Qing finds out Huo Ting En had left home after a call from Huo Ting En’s mother worrying about him because she didn’t know where he was after he left home. Wei Fen Qing had looked for Huo Ting En at the eatery they had breakfast at earlier in the day. She hadn’t found Huo Ting En there. She hadn’t been able to find Huo Ting En through Peng Xiao Bin, either, when he also had trouble contacting him. After some time wondering, Wei Fen Qing finally comes upon an idea to where Huo Ting En might be and we see her immediately head to the location. Where Wei Fen Qing heads to is the fishing location she and Huo Ting En camped at some time ago (Episode 7). Finding Huo Ting En there, Wei Fen Qing tells Huo Ting En everyone is worried about him. She asks him to head back with her. When Huo Ting En leaves her words unanswered, she decides to sit down and accompany him. Huo Ting En opens up after this point. His words are on Huo Tian Zhi and sadness of losing a family member to which he once had a great relationship with. The situation has hurt Huo Ting En deeply. He falls deep into hopelessness. Wei Fen Qing lets Huo Ting En know he has her with him always.